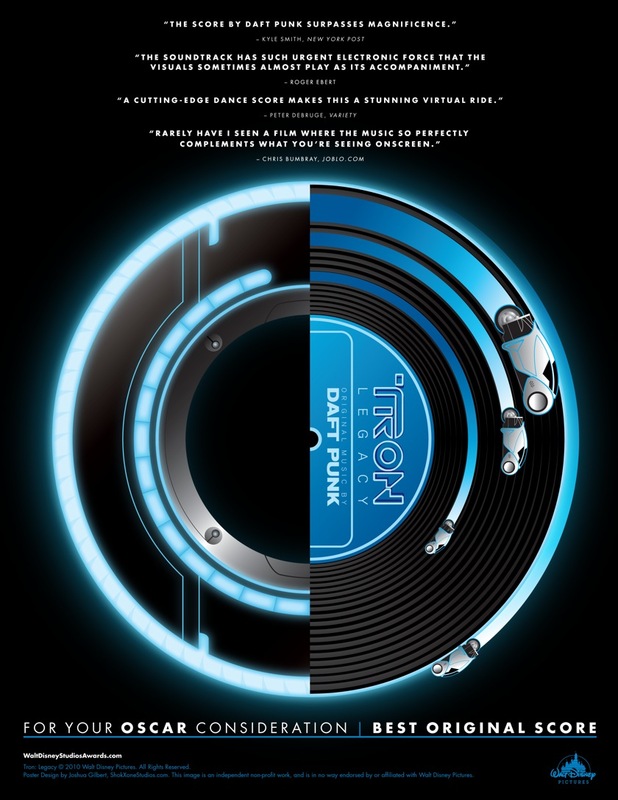 Here's an awesome fan-made For Your Consideration poster for Daft Punk's musical score to TRON: Legacy. This comes from shokxone-studios, the same person that created the awesome fan-made poster for The Dark Knight Rises that we posted recently. I think there's one thing most of us can agree on with this movie, and that's that the musical score was completely awesome. When I play the soundtrack in my car, it makes me want to drive a lot faster. It would be great if Daft Punk got an Academy Award nomination. What do you all think of the poster above?